Have you always wanted to try a Beauty Subscription Sample Service? Here is your chance! Pammy Blogs Beauty is hosting a giveaway for a special Glamour Magazine Birchbox! OMG it's TDF KWIM? Decoder included in The Pink Sith Blog’s review of the Dior Addict Extreme lipstick in Incognito #316. 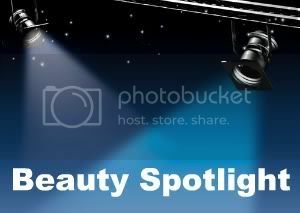 This was a week of beauty blog battles and Beauty Info Zone has another one to share. This time it’s Bare Minerals Ready Eyeshadows that are duking it out. Don’t you want to know who wins? After fears about reaching beauty saturation point, Modesty Brown writes about the products she's recently finished and considers whether they're worth re-purchasing. Lisamarie from Beauty Crazed celebrates the first day of summer by swatching a couple of items from the Essentiels de Chanel Fall Collection! Prime Beauty shares her secret for perfect lips: SENSAI The Lipstick--the luxury lipstick you don't know about---yet! Jessika the polish insomniac shows off her favorite taupe eyeshadow for less than $3! London MakeUp Girl finally gets to grips with one of her long term items of longing. Does Kjaer Weis Eyeshadow in Divine live up to its name? Find out in her review: Kjaer Weis Divine review. Want to get noticed this summer? Perilously Pale shows you how with the hot summer shades in the Anastasia See and Be Seen Kit. Even better this set is a deal! 15 Minute Beauty Fanatic tried out Milani's Powder Eye Shadows and thinks they might be just as good as MAC. Paula, from Older Girl Beauty, talks about what every beauty girl dreads - throwing out makeup - thanks to a case of pinkeye.